With experienced and expert teachers, the children will soon realize that learning can be fun and will not restrict their learning to textbooks. Our school is equipped with resources to aid in the child's learning! 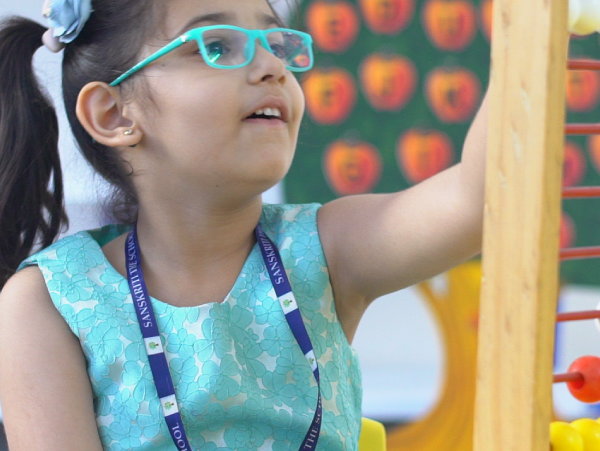 At Sanskriti Kids, students develop a “never give up” attitude, thanks to our “edu-carers” who encourage and motivate children to explore their areas of interest. We help the kids broaden their mindset and develop an optimistic attitude towards learning. Smart classes that make your child smarter. Our education systems have witnessed a drastic change over the last decade. We at Sanskriti took digitization by the horns- and changed the conventional method of teaching by making it a lot more unconventional and fun -filled! We adopted the Smart Class to make the journey of learning enjoyable and enriching for students. We realized that our students were doing very well and there was an increase in productivity. Our aim at the end of the day is to ensure that our children develop to expand their horizons and become better thinkers. At Sanskriti Kids, we believe that textbooks alone don't stimulate and develop children to be holistic thinkers. Children till the age of 15 still rely heavily on their sensory skills to retain, process and store information. This is where we step in with our 3 Vs- Value, Virtue, and Vision. What we envision is a platform for children where there is steady growth and overall development within the child. We encourage group projects, worksheets, social responsibilities, group activities and healthy competitions- which we believe is learned most through the activities that are organized and conducted by Sanskriti-Kids. At Sanskriti kids, we understand how valuable quality education is for your child. Personal and social development are two key highlights at a stage where children are easily influenced, in terms of comprehending their learning environment. Here, we prepare the little one in understanding their environment. According to studies, as well as research that has been conducted by several leading psychiatrists and psychologists- children in this particular age group are at their peak of sensory learning. That is why at Sanskriti kids, a significant portion of our activities have been centered around sensory play. Our expert teachers, coupled with developmental aids ensure that the students are in safe hands when it comes to learning! 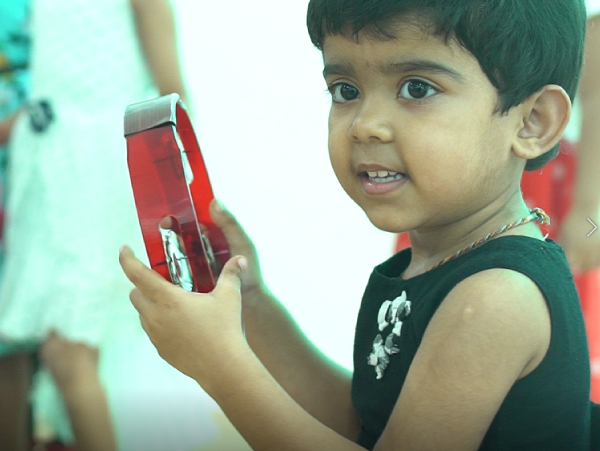 We believe that learning should not be restricted to the four walls of a classroom, instead we look beyond these boundaries that will help in shaping our young tots into global thinkers. We also encourage field trips and excursions as it helps the students in stimulating their creativity and realize the benefits of such visits. When children are exposed to outdoor learning they understand the importance of nature and develop love, appreciation and respect for the same. It also helps in experiential learning. With outdoor activities, we strive towards a holistic learning experience for our students. It also helps in enhancing their social and communication skills.